Packaging Size: 45 To 50 Kgs. White Alum for purification of water. 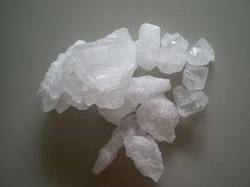 The top priority of our entity is to attain utmost client satisfaction by offering a quality assured range of Solid Alum Crystal. These crystals are used to cleanse drinking water and industrial waste-water. Our meticulous professional team formulates these crystals using premium grade compounds at our vendor unit. Our organization hold expertise in trading, exporting and supplying superior grade Alum to our precious customers. Our offered Alum is widely appreciated by our customers, which are situated all round the nation. Known for its best quality, clients can avail this Alum at industry leading prices from us. Alum stone (padikaram) is widely used in water companies to make the water clear and settle all the dust available in water at the bottem. This product is available in power and stone form. We can offer this product at the best price with the packing sizes of 50kg bags. This ia being used for domestic as well as in different Industries. 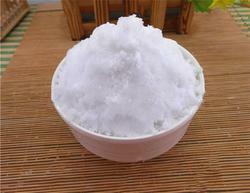 Alum in block form is used as an aftershave, rubbed over the wet, freshly shaved face.Cosmetic Alum is also used in purification of drinking water in industries. Available in any packing from 400gms to 50kg bags in commercial as well as pharma grades i. E. I. P. / b. P. / u. S. P.